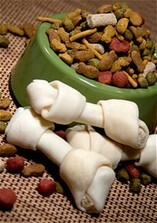 The nutritional needs of our animal family members vary depending on their age, weight, and activity level. At Pioneer Animal Hospital, we are happy to answer your questions about the dietary needs of your canine and feline family members and regularly include nutritional counseling as part of our pet wellness exams. Our veterinarians can recommend a diet that fits your pet's nutritional needs—and please feel free to bring in the nutritional content of your existing diet for them to review during your wellness exam. Any sudden change in your cat or dog’s eating habits or a sudden increase or decrease in weight could be symptomatic of many underlying diseases.